His name is Scratch, A red Squirrel character who managed to piss off a Demon and now must do his bidding until he can redeem himself... or die trying. 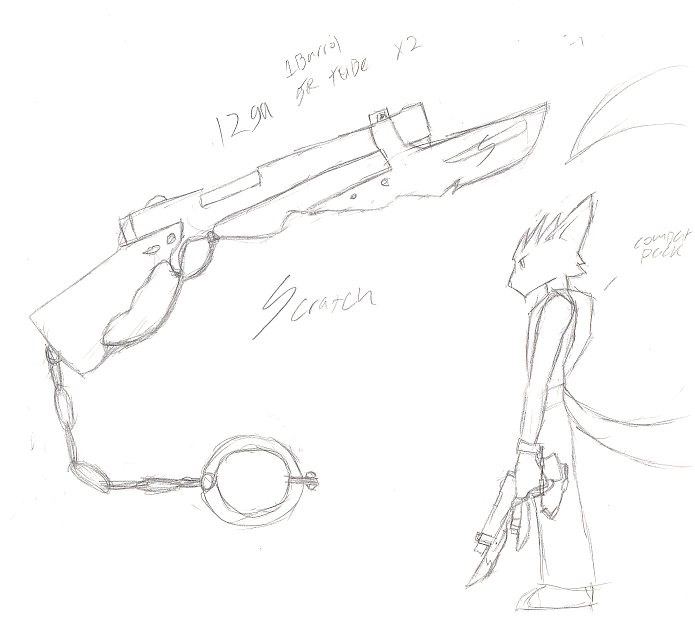 The Demon chained Scratch to a pair of shotguns with unbreakable chains that weigh quite a bit. He uses his heave guns to complete tasks helping the Demon gain more power in the over-world. This unusual character popped out one day two years ago as I was at a friends house, Not sure what I'll do with him but he looks badass even now.